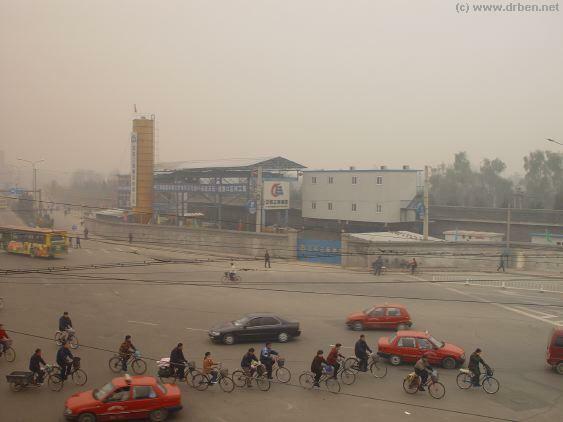 Take a bicycle to Hong Qiao and park it on the North Flank of the building. On the South side is the new subway exit and entrance giving access to the entire city. That was then. Hong Qiao emerged from time to thrive in the Capitalist Boom in China. At the Time in the 1980's it sold cheap consumer goods, electronics and many other products to an eager Public. 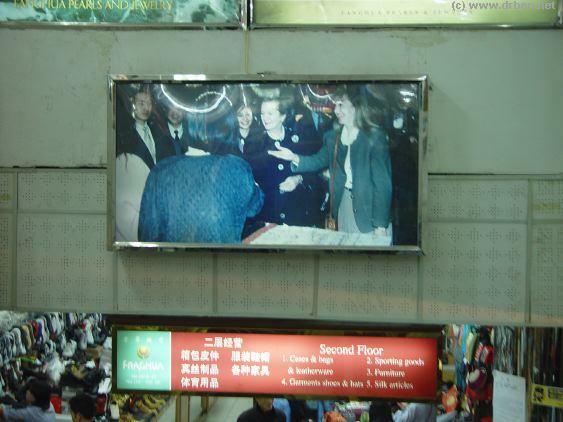 Somewhere along the line the Market was featured internationally during a visit by Prime-Minister of the U.K. Margaret Thatcher, after which the overseas tourist joined in and what was already a whapping success, turned into a mainstay of the Shopping Agenda. Especially the Pearl Market was doing good business, hence Hong Qiao is also known as "The Pearl Market" among foreigners who flock to Beijing. 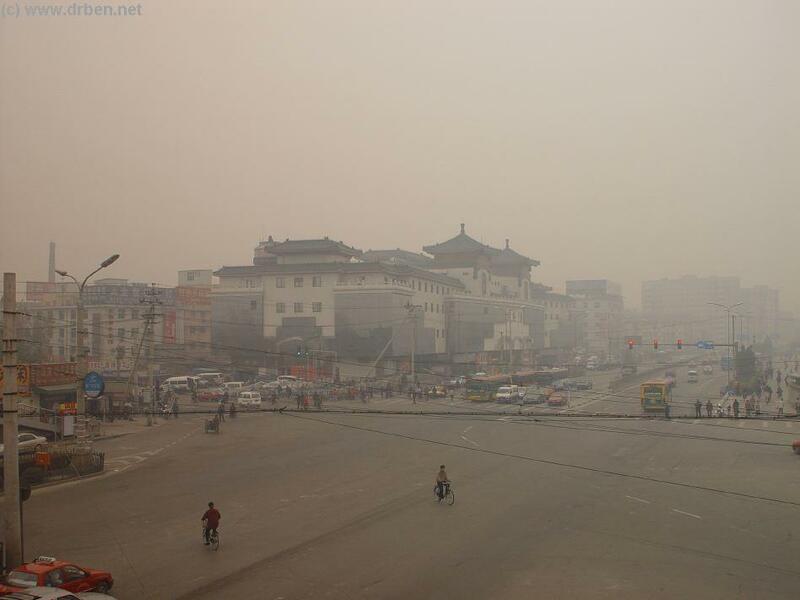 Welcome to China Report's Digital Impression of the Hong Qiao - Red Bridge Market (红桥市场) in Beijing. The Hong Qiao market originated as one of the ancient popular markets in Beijing. 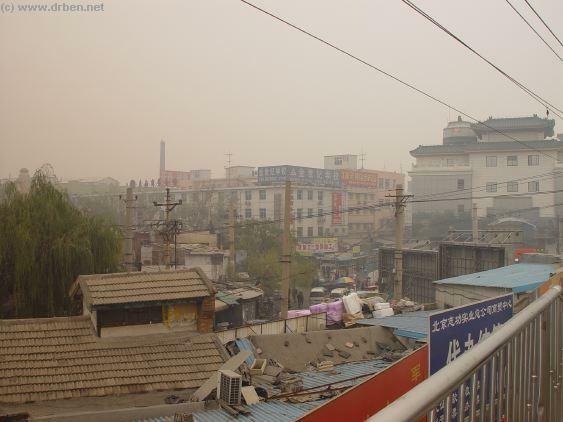 Located in the outer district of Chongwen, a sprawling collection of Hutong dwellings reserved for the common people and the poor it was a thriving market for centuries and popular among the Foreigners that visited Beijing during the Colonial Era and the early 20Th Century. It is officially know as Red Bridge Market but then it was known as the "Thief's Market", not only because of the high threat of pickpockets, -mainly penniless bums from the surrounding Hutong-, but equally for its savvy salesmen who always got the upper hand and did good business. Apart from a multitude of wares on sale in an open Market, there were always a rich variety of street artist on hand to bring some entertainment. Hong Qiao was a fun place, albeit somewhat out of the way. 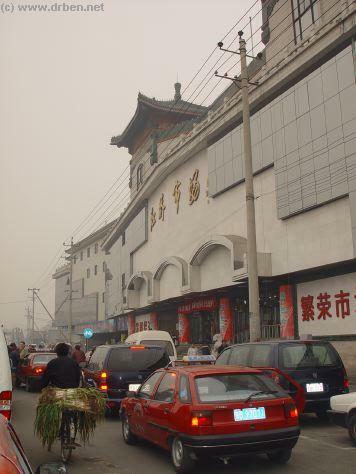 The Hong Qiao Market building on the intersection of Tiantan Lu, Tiantan Donglu and Tiyuguan Lu in November of 2003 AD. Much has changed since. into it's Old Routine, the selling of cheap silks, bags, souvenirs, antiques, electronics, art and pearls to enthusiastic crowds of (mainly) foreigners who all came looking for the best bargain to get. Traditionally Hong Qiao's Third Floor is reserved exclusively for the Pearl Market. The Hong Qiao Market Building is located on an easy to find location within the central old City. 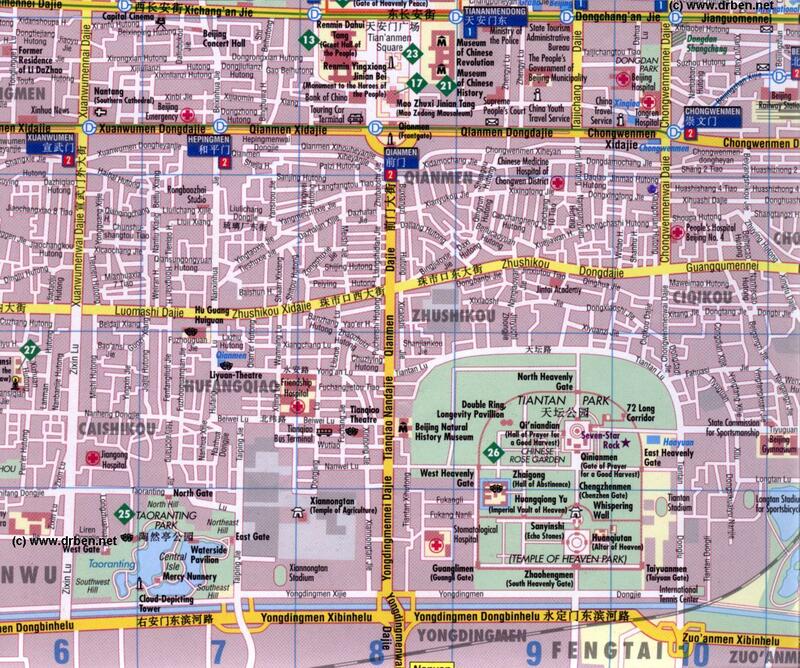 Although at quite some distance South from TiananMen Square and well outside the 2nd ring road in the South-Eastern Chongwen District it occupies a unique location directly across a wide boulevard from the Eastern Gate of the World Famous Temple of Heaven and its Park. An overview of East Xuanwu and Most of Chongwen District with the location of Hong Qiao Market clearly marked. Pedestrian Walkway connecting the Temple of Heaven East Gate with the other side of Tiantan DongLu and the Hong Qiao Market. 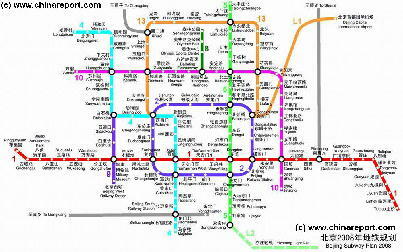 Full Map of the Beijing Subway System of 2008 AD - Click Map for FULL Version ! opened Metro/Subway Line No.5 (Light Green), which has a Station at Tiantan DongMen (=East Gate), with exits in sight of the Hong Qiao Building. Head to the Temple of Heaven in the early morning to enjoy the best of the day at the Temple and Park, then combine your tour with some shopping at Hong Qiao for fun afterwards. Or, just simply make it a shopping day and travel to Hong Qiao by subway. Afterwards, haul your load back to the subway train and travel conveniently wherever you have your Hotel or stay in the City. It is all so much easier now ! Imagine just how much you could buy ! 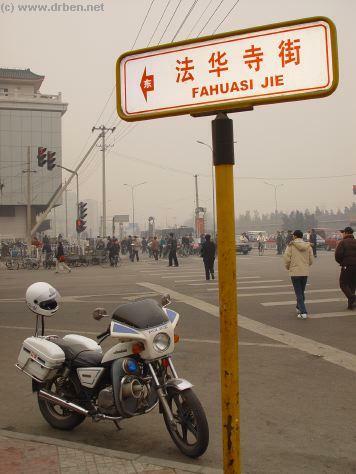 A Police Motorcycle Parked across from the Hong Qiao Market (November 2003). 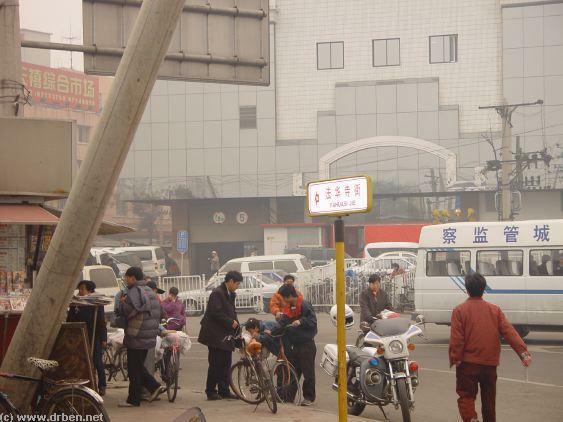 Some of the recently demolished Hutong that surrounded the Hong Qiao Market building untill recently. They were torn down in 2004 AD to make way for a more modern appartments and offices. 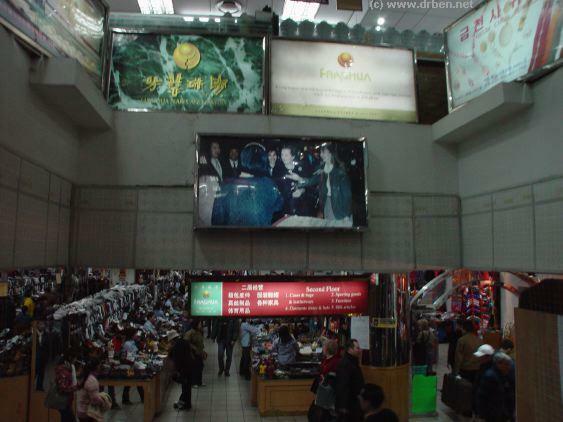 Hong Qiao is one of THE addresses for proper shopping in Beijing ! Hong Qiao Market in Beijing is one of the oldest markets within the City. Its history spans several centuries. The history of the original Hong Qiao is narrowly entwined with that of its twin on the other side- the western Gate of the Temple of Heaven. 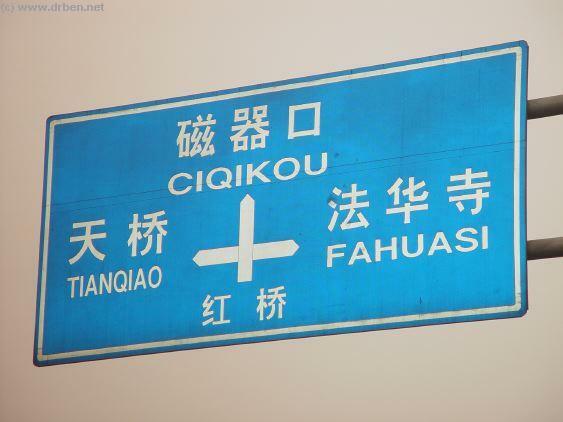 There, in the West at Tianqiao lay an important crossing point on the main central axis of the Imperial City, along a thoroughfare that all visitors to the City passed through. Logically, the crowds of travelers found eager traders ready to sell them anything of their needs and there were plenty of street artists -jugglers, acrobats, kung fu artists, magicians, soothsayers and healers and more. Tianqiao was the Cultural Center of the Southern Districts outside the Ming Dynasty Era City Wall. Hong Qiao, in the East was their Market. It was the market where anything of need was available cheaply. It needed to be cheap because of the lowly economic status of all those who were destined to stay outside the massive City Walls of the Inner City. Until at least the year 1916 AD, the Hong Qiao Market lay in a somewhat remote corner of the City. 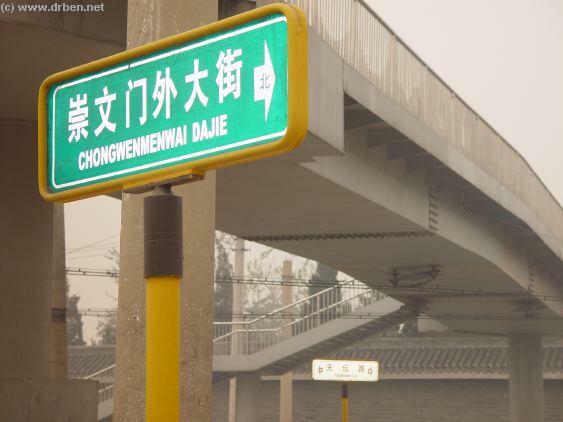 North of the market Lay the Hutong of the Chongwen District of the Time, which extended -as they did until recently- all the way up to Chongwen Gate and QianMen Gate. 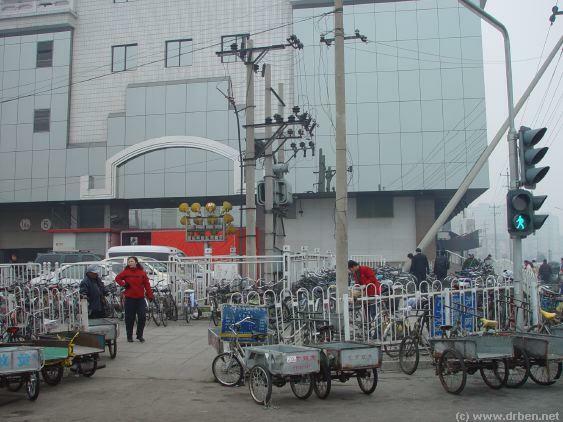 Street sellers peddling their wares outside Hong Qiao Building and city citizens fiddling with their old bikes in November 2003. 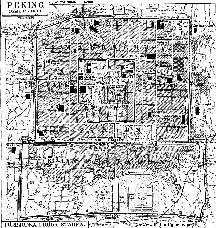 Schematic Map of the the City of Beijing in 1916 AD, shortly after the 1911 Xinghai Revolution and the Debacle of Yuan-Shi Kai's attempt to Crown Himself Emperor. Ex-Emperor Pu Yi still inhabited The Palace, outside Beijing was modernizing and China was experiencing the industrial Revolution. Find Hong Qiao marked on the Map. stood North of the River at some distance North-West of the current Hong Qiao Market. However, no evidence of it can be found today. The Hong Qiao market itself lay at an intersection of several small roads, which today have grown into the major traffic arteries of Tiantan Lu, Fahuasi Jie' and Chongwenmenwai Dajie'. East of the market lay the Fahua Si, a small Temple Complex and behind was a Pigeon and Birds Market. To the South of the market lay only wastelands and rice paddy fields through which a road led down to the Outer Wall that surrounded the Chongwen District since its construction during the Ching Dynasty Era (1644 AD - 1911 AD). Taxi's can deliver customers right on the doorstep of the Market. Arrive and leave easily. Taxi's and Rickshaws are always available. Probably due to its modest origins as a market for the nameless flocks outside the Imperial Gates, Hong Qiao market is hardly mentioned in historic books on Beijing. Similarly, a single historic photo has yet to be identified. As described in the introduction, Hong Qiao market saw a huge revival in the 1980s and 90s, after which it was relocated indoors and refurbished for the 2008 AD Olympic Games. Today's Hong Qiao continues business although it is not nearly as cheap as it was when it became famous among foreign tourists and expats, selling spectacular Pearl necklaces for only 15 Yuan (today 1.5 dollars maybe), an absolute bottom bargain price. usually packed with women ganging up on the items for sale. Its a great place to get some souvenirs, but don't expect too much. As for the Sales People - if you are new to China this will be an experience ! For all practicalities we must start by pointing out that the Hong Qiao Market is a large and sometimes chaotic building with many small alleys between stockpiles of items and little stores. It has however been adapted for entry by wheel-chair bound visitors. As shown on the above Photos, there is a safe ramp to Drive up and onto the ground floor level. Apart from easy to use escalators ferrying all visitors from floor to floor, there are elevators at all corners of the building. Mainstays of the Market interior are not the Pearls or Silks the market is somewhat famous for among international travelers but mainly the small electronics, house hold appliances, photographic equipment, batteries and any other small-item-you may-be-in-need-of. Most of these are found on the ground floor and first Floor. It is a bonanza of small items, however one cannot ignore the fact that most look and feel as if they are of questionable quality. Any item can be found. For cheap Clothing, including the popular Chinese Silks and Shirts head up to the 2nd Floor. The second floor is also the place where one can find the most charming side of the Hong Qiao Market, its Arts and Crafts and Antiques department. Hold High the Banner of Mao Zedong Thought to wage the Great Proletarian Revolution. 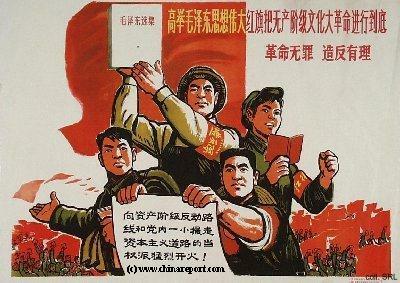 Once the Battle Cry for many in China, now souvenir and a (near) museum relic at Hong Qiao. as the latest hit among collectors and tourists. Other items include most fake antiques from the Qing Dynasty Era, various pins, traditional art, traditional furniture, ceramics swords, uniforms and more. found, such as ambers, diamonds and naturally in China - precious Jades. If you are a guy, this is a great place to pick up a gift for your Lady, as I am sure the Sales ladies will remind you off. For Girls, well .. my its simply Paradise ! As always, one should keep an eye on quality, however some traders at the Hong Qiao Pearl Market go highly recommended. Follow the example set by England's Iron Lady Margaret Thatcher, and go to Hong Qiao for your Pearls !! Views of the 3rd Floor Pearl Market at Hong Qiao. Useful Maps of the Area !! After shopping head down to the Basement for a snack or some delicious sea food. The basement contains a huge market for natural foods with plenty to see. Do not miss out ! Fresh fish a plenty in all shapes and sizes, fresh crab, sharks fin, eels, medicinal herbs, mushrooms, tea, grain, beans, etc. There is Mc Donalds next door for a cheap fast and unhealthy alternative, however if u have the opportunity to do your own cooking in Beijing you are highly advised to grab some from the basement market and cook up a delicious local meal ! and as a reminder of its Hutong legacy, it is also a great place to score some fresh local fruits from Hutong peddlers. the sprawling Temple of Heaven and Park can easily be combined. to all go Eat at McDonalds ! Fun You Tube Video and Small Tour of the Hong Qiao Market !! Leaving the shopping crowds and heading for the Pearl Market by Escalator.